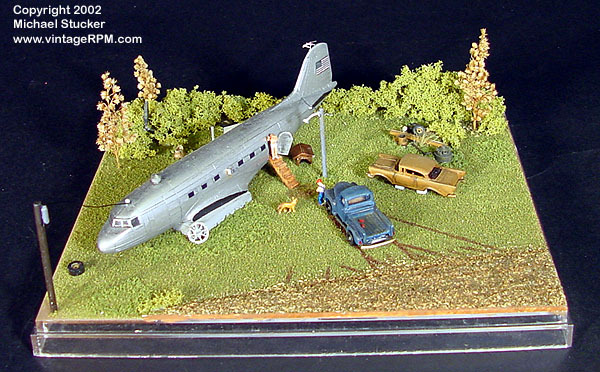 “DC-3 Trash” was built for a local club challenge to build a Academy/Minicraft DC-3 kit into anything other than a DC-3. This one has been converted into mobile home. The pickup and ’57 Chevy on blocks are reworked Racing Champions diecasts. 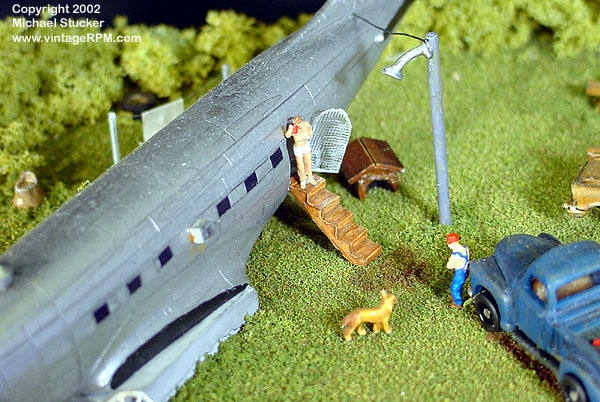 The people and dog are N-scale model railroad figures. Various details to look for include window A/C units, propane tank, junk in bushes (old parts from the plane), sheets on the clothes line, a busted screen door, bear cans in the truck bed, and a man drinking beer while wearing only underpants. 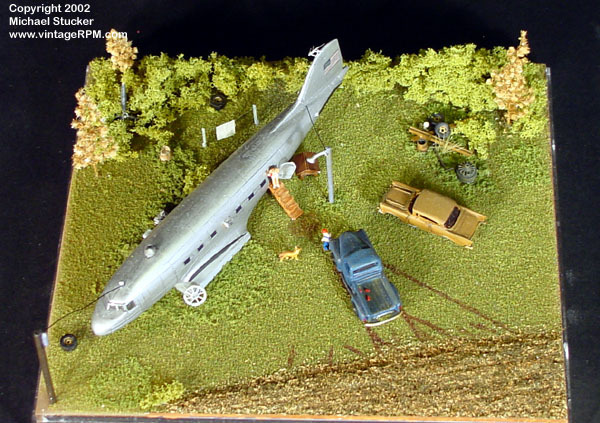 You can see this model in the 1940 Air Terminal Museum at Hobby Airport in Houston, Texas.